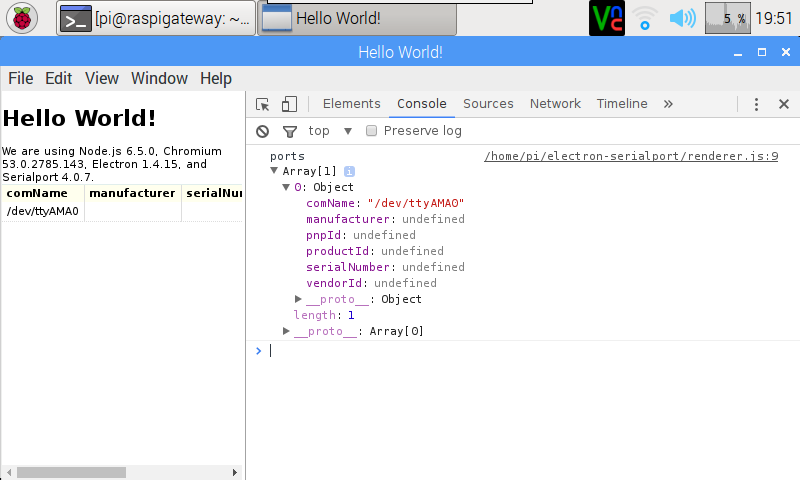 I hit my head two times on this, getting serialdata via an Electron app, time to put the taken steps on paper. I implemented some changes to push the data to a table. 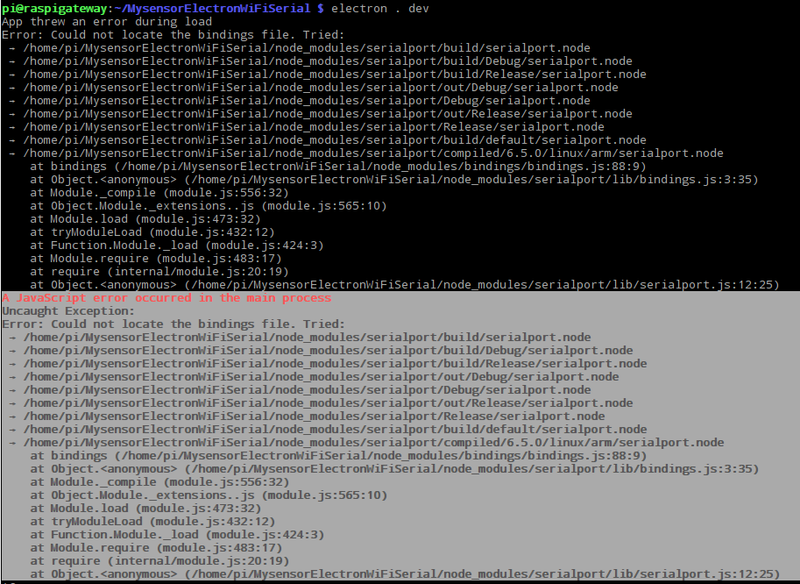 According to the manual on github, it is needed to use electron-rebuild in order to solve this. 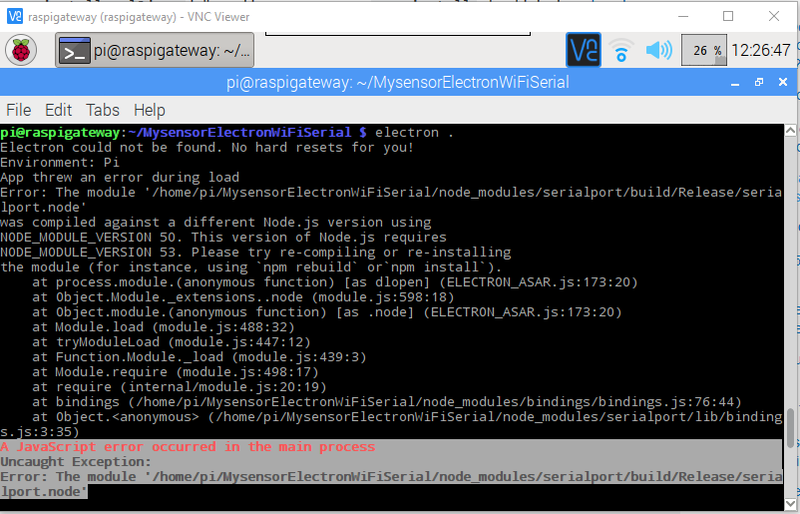 I’m trying to install the above application to my raspberry pi B3, but after running npm start command its opening electron and showing some blank page and after that nothing is happening, but the same application is working fine my desktop. I installed all the packages still its not working, please help me out with this. And please brief me about the hardware connection part aswell.